Join me on my private Wine tours! If you are interested on my wine tours in the Green wine region or in the Douro Valley, just send an email to sara@portoalities.com. 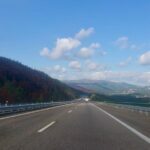 Since I have already written extensively about Port wine and the best vineyards in Douro Valley, it’s time to make a complete guide on the green wine. 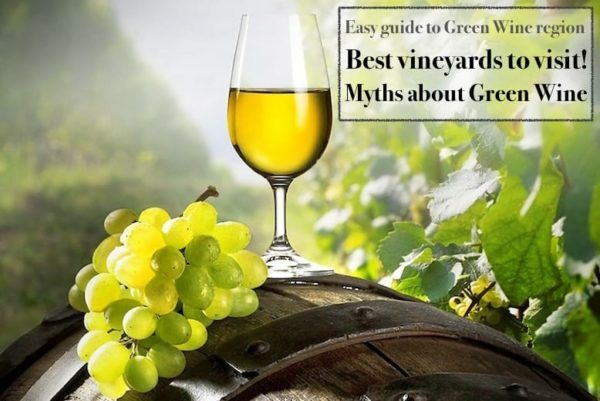 On this article on can find a list of myths about green wine, an explanation of what is, after all, a green wine, and, of course, the best vineyards of green wine! 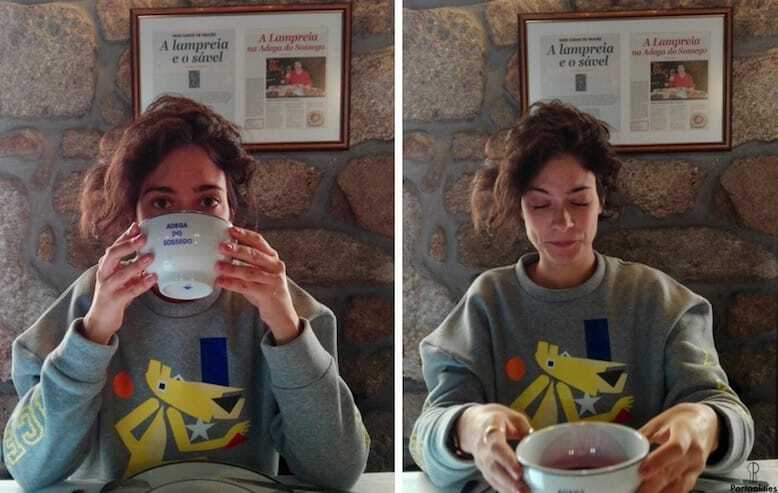 When you go to a restaurant in Portugal, it’s quite common that the waiter asks you if you want a “ripe white” or a “green white”, which might wrongly leads you to think that green wine is not a ripe wine. In fact, it is – but to better understand the “green” designation, we need to go back in time and see how green wines was produced before. Today it is completely different. The investment in the production of green wine per se coupled with the technological evolution allow the grapes to receive the sun exposure they need to complete its maturation. 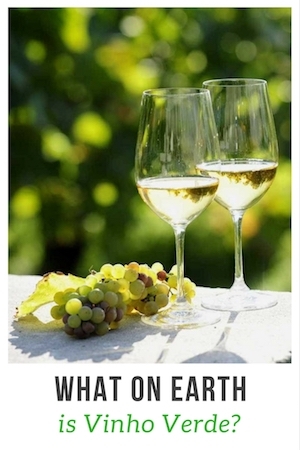 Thus, green wines are not unripe wines, but white, red or rosé, like any other type of wine. Most green wine sold nowadays doesn’t actually age in wood that is, during the final steps of production process, before being bottled. Instead, the entire process of vinification occurs in stainless steel vats. However, there are already some producers of green wine to produce wines aged in wood. 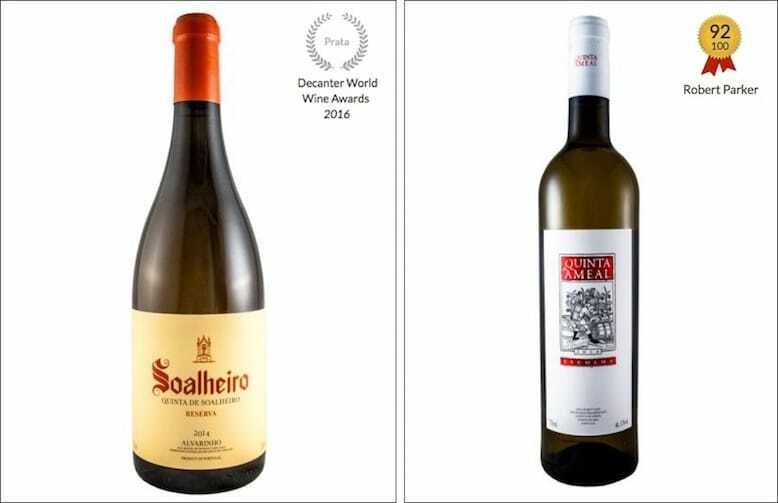 Namely, Quinta do Soalheiro with its award-winning 2014 Alvarinho Soalheiro Reserva, a wine which fermented 100% in oak barrels that received the silver medal at the Decanter World Wine Awards 2016 and Quinta do Ameal, for example, with its magnificent Escolha, which ages for 6 months in used French oak barrels from Nevers. These are exceptional wines that demand some patience to reveal its aromas and flavors and that shall be harmonised with an elegant meal. 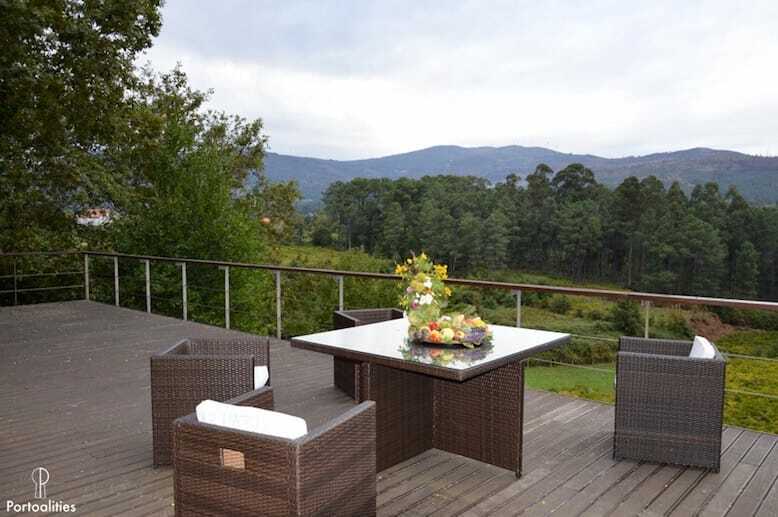 The communication of the Viticulture Commission of the Vinho Verde region positions the green wines as “fresh, fruity, floral”, which immediately calls for the consumption of green wines during the warmer months of the year. It isn’t an erroneous communication, taking into account that most part of the green wines produced today fit this profile – fresh, fruity and floral. 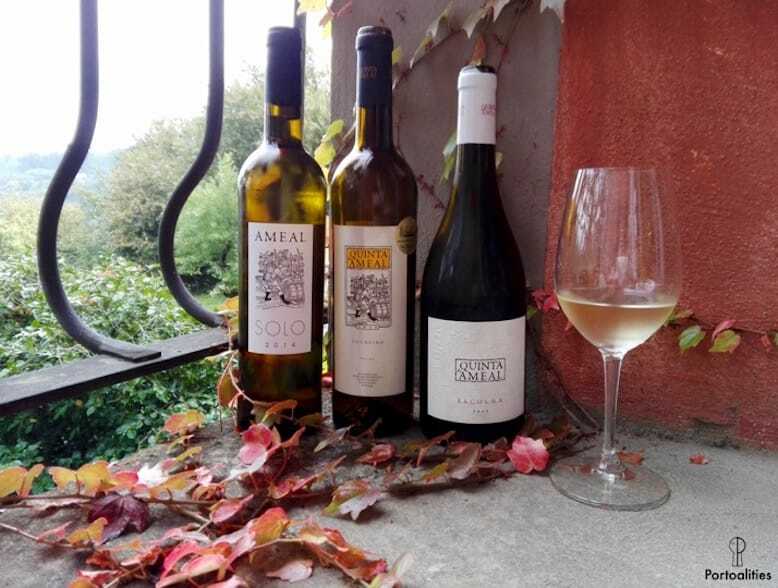 Another excellent example of a producer who dares to be different is Pedro Araújo, from Quinta do Ameal, who says that he is “as a producer of great white wines”, avoiding the usual connotation of green wines. Examples that in the same region coexist different green wines that satisfy different consumer profiles at different times of consumption, ranging from more affordable wines available in supermarkets to wines that make it to the wine lists of some of the best restaurants in the world. This myth was broken with a great effort, I must say. In some areas of Minho, where demarcated region of green wine is, it is very common to drink wine produced with “vinhão”. “Vinhão” is a grape variety also known as sousão in the Douro Valley, which is mainly used for coloring (the skin and the pulp of this grape variety are both red, giving a stronger color to the wine). 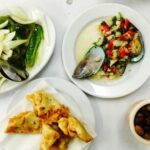 In the green wine region, vinhão is granted the honor of being consumed in special bowls during the meal. After several unsuccessful attempts, I can say that green wines are not always white … but I’d rather if they were! What is a green wine after all?! After breaking all these myths, let’s go back to the beginning. 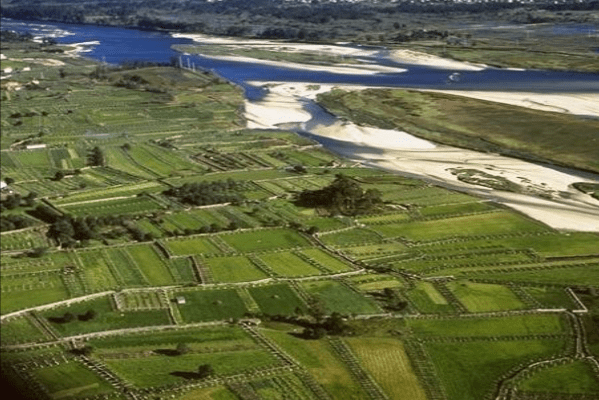 Green wines are no more than the wines produced in the demarcated region of Vinho Verde, with all the variety and complexity that the terroir entails. This region was marked on October 1st 1908. It is the largest wine region in Portugal, located in the Northwest, bordering with Spain, with the provinces of Minho and with Douro Litoral. It is divided into nine sub-regions, as you can see on the map below. The region of green wine has 20K producers (in contrast, for example, with the Douro Valley, which has more than 30K producers), with an annual production of 80M laters of wine. 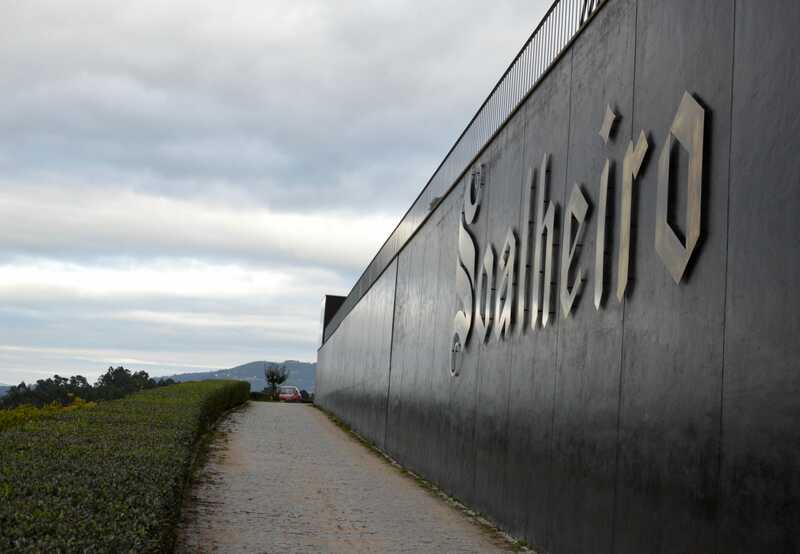 Quinta do Soalheiro is a family business that produces green wines of the Alvarinho / Albariño grape variety since 1982. 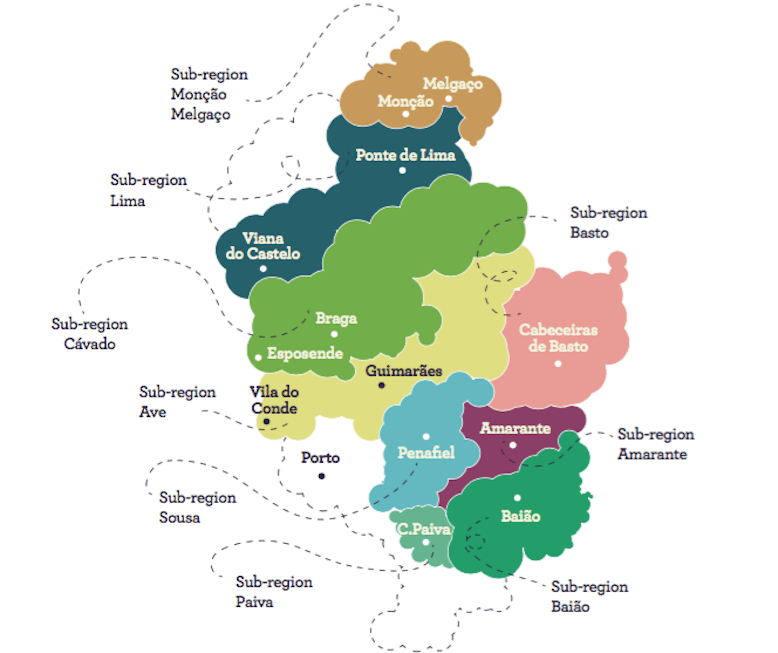 It is a company with an unique vision, focused on the brand and not just on the Alvarinho / Albariño grape variety, as this grape variety will no longer be produced exclusively in the sub region of Monção and Melgaço to be spread to the entire region of green wine. Quinta do Soalheiro has a fairly comprehensive wine portfolio, from single varietal of Alvarinho / Albariño, blends of Alvarinho / Albariño and Loureiro (another grape variety of the green wine region), Terra Mater – a biological wine aged in chestnut barrels – and even a brut sparkling wine produced according to the traditional method. 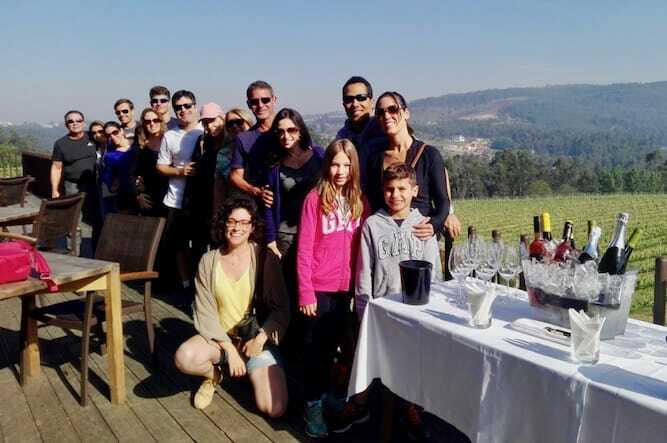 The visit to the vineyard is made at Quinta do Soalheiro, and the proof of the wines are made in the beautiful Quinta das Folgas, just a few minutes away (by car). 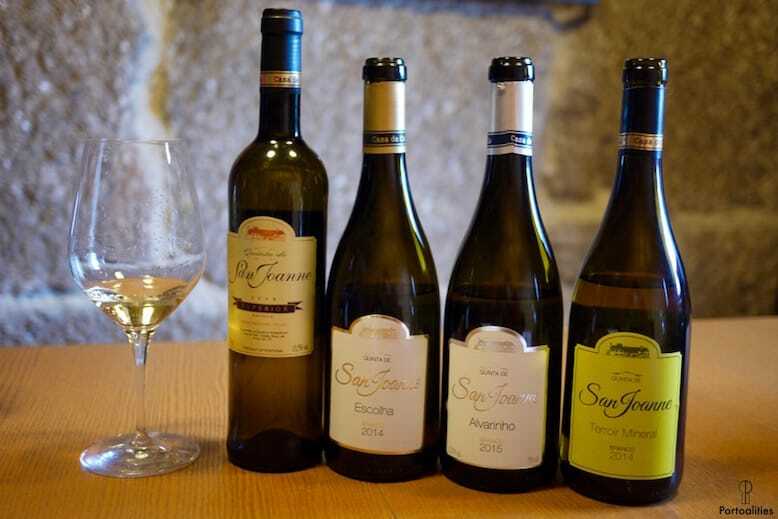 Classical tasting includes one wine from Quinta do Soalheiro harmonised with homemade sausages (Bísaro pork sausage, ham, sausage, blood sausage…) and vegetables grown in their own garden. It costs 12.5€ that are well worth the price. Reservations: through the email quinta@soalheiro.com or +351 251 416 769. Interior of Palácio da Brejoeira, chapel and gardens. 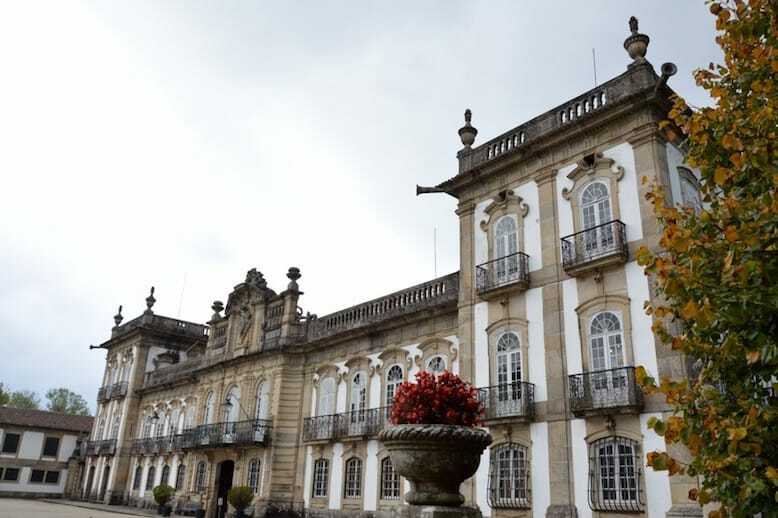 Exterior of Palácio da Brejoeira (only the woods, the vineyards and the old lagar). Interior and exterior of Palácio da Brejoeira. Schedules:[9:30am – 12:30] + [14:30pm – 6:30pm]. In the mornings, the last 30m visit starts at midday and the last visit of 1h starts at 11.30am. In the afternoon, the last 30m visit starts at 6pm and the last visit of 1h starts at 5.30pm. 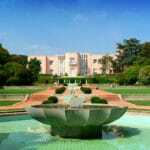 Reservations: through the email recepcao@palaciodabrejoeira.pt ou +351 251 667 238. 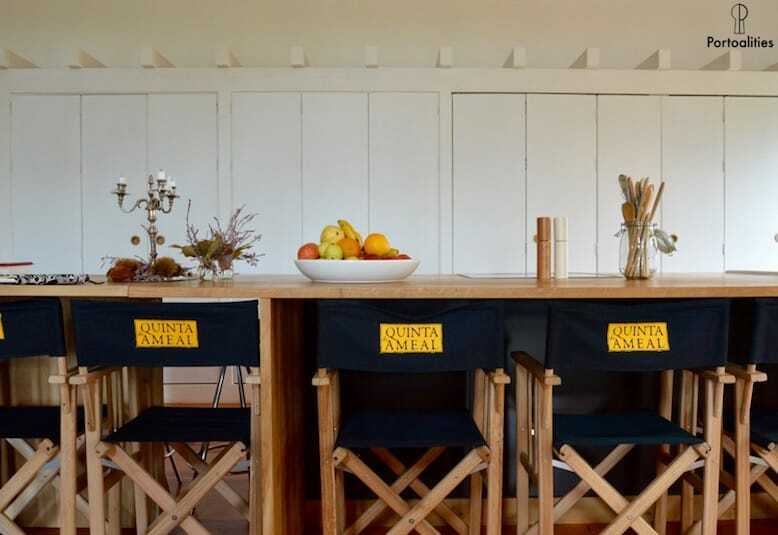 The first reference to Quinta do Ameal dates from 1710, but, of course, wine production took off nearly three centuries later, in 1990, at the hands of Pedro Araújo, who from the beginning chose to invest in the production of fine white wines. Quinta do Ameal – Classic received 94 points in the scale of Robert Parker, who holds the prestigious wine magazine The Wine Advocate. 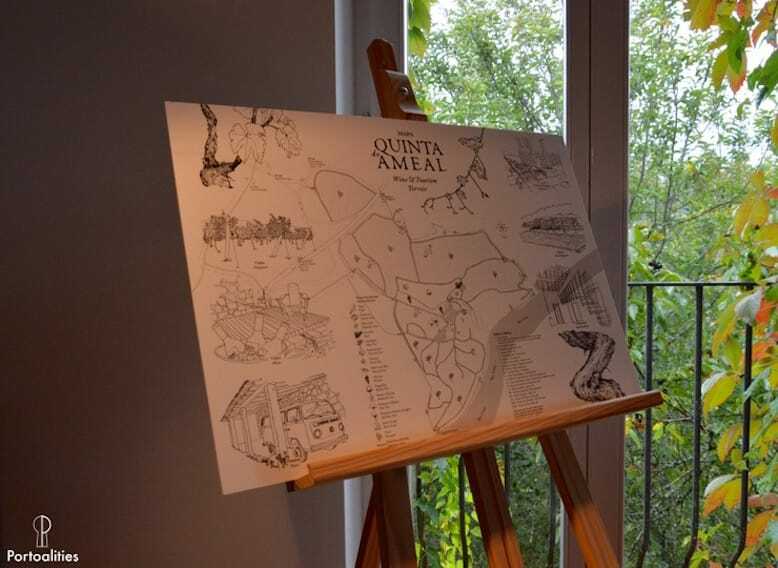 Quinta do Ameal was also elected in 2015 to “Matter of Taste”, an event hold by Robert Parker that selectively chooses 200 wines worldwide. And it wouldn’t hurt to say that this Quinta do Ameal has its wines in some of the most renowned Michelin-starred restaurants, such as Petrus in London. 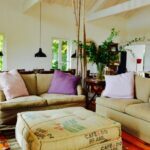 Quinta do Ameal is absolutely charming and it includes, in addition to the vineyards, two holiday cottages, an outdoor pool, magnificent pine trees, several gardens and a wine cellar. It is a space where time runs slower, between beautiful wines and mild conversations around the fireplace. Reservations: through the email quintadoameal@netcabo.pt or +351 916 907 016. 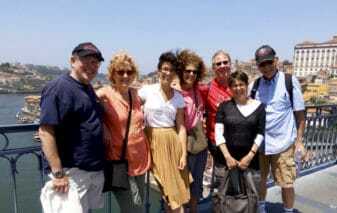 Visits take place in Portuguese, English, Spanish and German. Casa de Cello is another card completely off the deck in the green wine region and we must thank it for that. 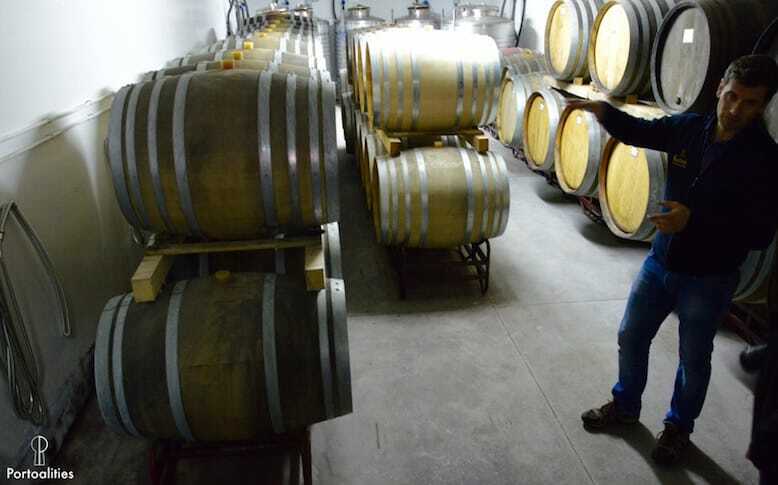 Whether for its wine production philosophy, which heavily focuses on extreme caution during the viticulture (irrigation, aeration of the production, pruning, etc.) in order to have less intervention in the cellars, producing more natural wines that clearly express the terroir characteristics. Typically, Casa de Cello receives no visits other than those of its customers and distributors, but if you want my advice, go there anyway, that I put my hands on fire that they will welcome you anyway. You might even be lucky enough to taste some very unusual wines, for example, Casa de Cello Superior 2009, a a blended wine of Alvarinho and Malvasia Fina. 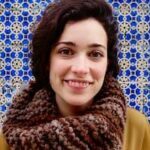 Extra: Go on a private tour in Douro Valley! 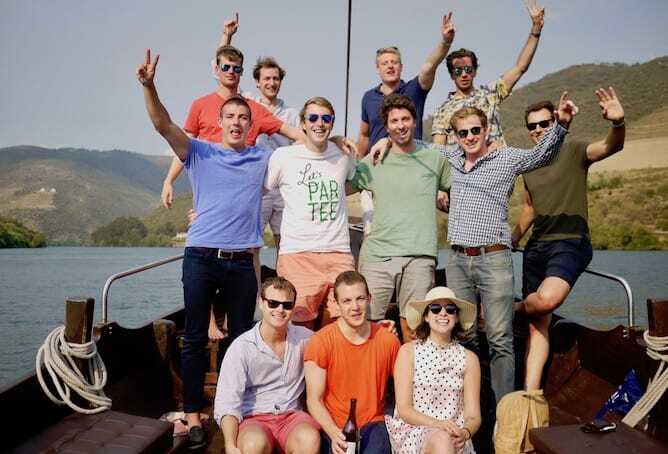 Instead of wasting time organising your day trip to Douro Valley, just send an email to sara@portoalities.com with the date you want to visit the region.